Henry just came back from Beijing. 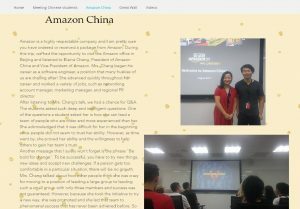 One of the highlights of his program was a visit to one of Amazon’s offices in China. Read about this and more of Henry’s adventures on his blog site here!